It’s the musicians’ double-edged sword – to make great music, you need to get yourself into a creative mindset. But for most of our careers, we aren’t at the stage in life where we can laser-focus our attention towards creating amazing art, and nothing else. We have other responsibilities – jobs, bills a social life, and the pressure of managing and advancing your musical career. We juggle making art with stresses, deadlines, and time – the biggest inhibitors to unlocking a creative mindset. There are a million ways to unblock your mind, but there’s one trick that musicians have used since the dawn of time – other people! Collaboration might seem like an obvious answer to the mind-block disease, but hear us out – most of the worlds’ music wasn’t made by lone geniuses. Reaching inwards for creative fuel can definitely be inspiring and therapeutic, but it’s also incredibly easy to get caught up in your own head. Alone in your stuffy room, the only feedback you hear is your own thoughts, rambling through negative feedback. And we’re not here to diss being critical of your work in order to improve, but let’s be real. When you’ve been listening to a track alone for ten hours straight, you’re probably no longer the best judge of your work. It’s time to recognise that some ideas that won’t come out to until a new perspective knocks them out of their hiding place. From bands, to duos, to feature artists; collaboration happens everywhere in music, but for two certain musical occupations, it’s practically written into their job description – the songwriter and the vocalist. So we got hold of two artists who are no strangers to collaboration to talk us through how you can unlock creativity in collaborative sessions. 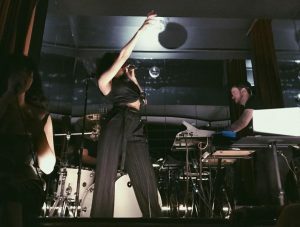 You may not have heard the name just yet, but behind the scenes, songwriter and vocalist Janeva is conquering the Australian and international industries. Signed to Sony ATV for publishing, she’s just gotten off tour with The Rubens and P!nk. Janeva’s written songs with Hermitude, Paces, Maribelle, Young Franco, Basenji, Sachi, LDRU, to name just a few! To start off, she told us all about her first writing session ever – and it might just relate to how you currently feel about revealing your inner thoughts to a group of strangers; aka, not too swell. “It was absolutely terrifying. I remember being so incredibly nervous and totally unsure of what to expect. I had only ever written on my own in my bedroom, so the idea of sharing my ideas and personal feelings with a complete stranger, to then whip up a new song in a few hours was very daunting. It definitely took me a while to be comfortable in confidently sharing my ideas and trusting the process. I soon learned that collaboration is the ultimate way to learn new techniques, be inspired and make better creations. The more trust you have in yourself, your ideas and your co-writers, the better your collaborative experience will be. Even if you don’t make a great song, you always leave a session having learnt something new,” says Janeva. 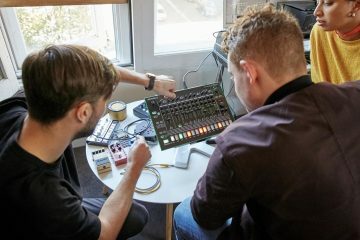 Jumping into the studio with friends (or soon-to-be friends) can break your ideas free from restraints, but only if the group feels comfortable in being creative together. And that means a few things – firstly, that the pressure needs to be off, entirely. So wipe away that nervous sweat, because your collaborators will sense your fear a mile away. Have a chat, get to know each other, and get comfy around them, because you’re going to have to be when you reveal your emotional secrets to turn them into some sweet, sweet music. 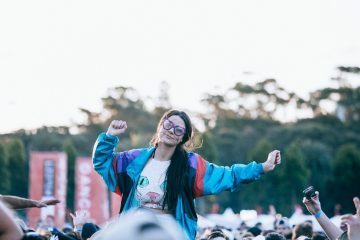 “Most of my favourite songs have come from just getting to know the people I’m working with by jamming and dancing around the room first, and not stressing too heavily on what the end result should be,” says Janeva. Start out your collaborative session with a bit of jamming out to get some melodic ideas or hooks out into the open. From there, choose what stands out to your ears, and continue to bounce ideas off your collaborators based on what sounds good. You can choose to refine each idea as it comes, or you could lay down a rough skeleton of a song before diving into the details – it’s all up to what feels right. And as Janeva says, processes are never set in stone. “Every session is always different. For me, there is no step-by-step process. Some days it’s a lyric that I’m inspired by, other days it’s jamming out on a piano and singing random melodies first, or it’s starting with a beat and going from there,” says Janeva. Some people might be bursting with ideas, and you’ll need to just get everything out there before even considering your final decisions. But in another session, you might feel a need to get an idea sounding sick before moving onto the next section. Everyone’s different, and the way your creative mind combines with someone elses’ will never be predictable. In collaborative sessions, it’s likely there’ll be a topliner involved – and in that case, you’re going to want to get some lyrics out there. Vocalist and songwriter Sayah is familiar with the writing process like not many are. 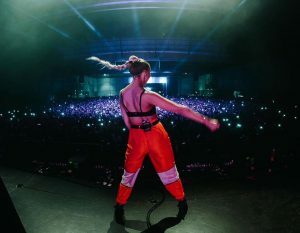 From hustling her solo artist project to developing younger artists, Sayah’s musical career has involved collaboration at each and every step. “I’ve gone into sessions with a page of vent notes before – other times I go in with nothing, and we write the song in 5 minutes. Then, of course, there are times where it takes months to finish a song. That’s the beauty of it, you never know what you’re going to walk out with,” says Sayah. Sayah also agrees that there’s something about being emotionally detached from the events of a song that helps them get written faster. “I’ve spoken to a lot of other artists about this and more often than not, we all agree that it’s so much easier writing collaboratively for other people because the pressure is off! Maybe because you’re not necessarily attached to the story, you’re able to just bounce around a lot more ideas – whereas when you are attached, you tend to overthink. Or I do anyway,” says Sayah. But sometimes, even with more than one mind involved, you can get stuck as a group. But the good thing is, you’re not wallowing in your creative block alone. You have other people to help tug each other out of the abyss of creative death. So what do these music professionals recommend when everyone’s feeling lost for words, and the song is going nowhere? Don’t get too beat up about it. Cheer yourself up. “Coffee time! Going outdoors, getting food, watching weird YouTube videos haha. Anything that’s not music related to give our minds a rest and just enjoy hanging out. A quick 15-minute fresh air is usually all the revamp you need,” says Janeva. And sometimes, you just need someone to stand up and call it quits on using everyone’s brain power to try and polish a turd. “Or even completely ditch the song idea and start a whole new song altogether, no matter how late in the day it is/how much longer you have in the session. Taking the pressure off to finish a song and jamming again on something new can help spark more inspiration!” says Janeva. That’s right – although it might not feel good to wave goodbye to those hours spent on a song that will never see the light of day, sometimes you have to know when to stop. Just keep in mind – you’re all just people, hanging out and making music. No one expects every collaborative session you do to result in a number one hit, just like not every song you make on your own will be a banger. Collaboration is just a way to introduce new combinations of perspectives to a creative challenge – and the best thing you can do is try to get a vibe flowing again. You’ll know when the idea has something special to it, because you won’t want to stop. And with more than one musically talented mind in the room, you’re sure to get there. “Literally just sing whatever. Just press record on a voice memo or something and just jam melodies, lyrics, anything. Without thinking. There’s always something. ” says Sayah. It’s that human connection that guarantees you’ll always get something great out of a collaborative session. 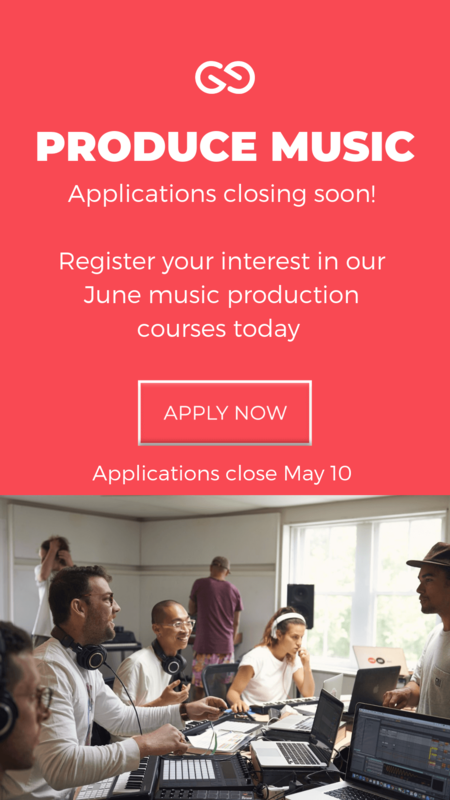 whether it’s your next single, a new friendship, or even just expanding your network as a musician. “I just love having someone else to bounce ideas off! Going back-and-forth to challenge ideas and concepts only makes them into greater ones. Your collaborator might bring a new spin to the idea that you never would have thought of on your own and vice versa. Also making new friendships! Being put in a room for 6 hours with a stranger talking about your innermost feelings is a great way to fast-track a new epic friendship,” says Janeva. So next time you’re feeling lost in your own mind hunt down that random muso you added on Facebook 6 months ago. Only good things can come from connecting with people with the same passion as you. 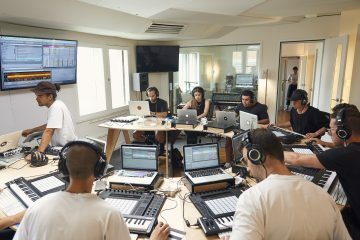 Want to discover more about making electronic music? 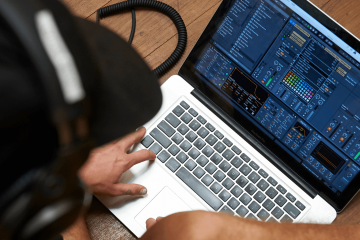 Take this quiz to discover which Liveschool course is best for you! Previous ArticleLearn to make music like the pros in just 6 weeks!